A.B.C. 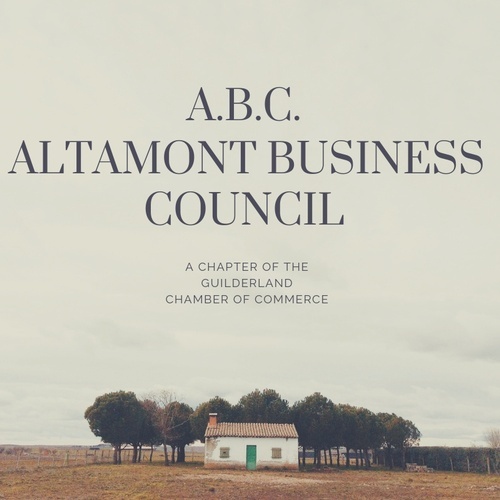 Altamont Business Council , a Chapter of the Guilderland Chamber of Commerce - Feb 21, 2019 ? Coffee and conversations.A.B.C. ,The Altamont Business Council, A chapter of the Guilderland Chamber of Commerce. Join us to discuss business growth and development in the Altamont Area.